I love top 10, top 50 and top 100 lists when it comes to providing me with powerful people to watch and learn from as I work to grow my business. At EvanCarmichael.com each year, they publish a list of the Top 50 Entrepreneur Blogs to Watch, and there were many blogs on this year’s list that are new to me and on my list to explore. 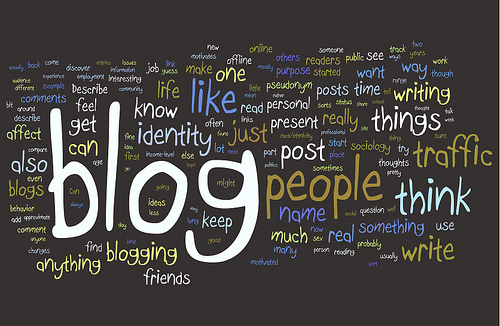 What is your pick for Top Blog for Small Business Owners, and why you think it deserves a prominent place on the list? My appreciation to our experts for sharing more than 15 additional amazing small business blogs to add to Evan Carmichael’s list. Whether you are in search of a blog to help you with social media, customer service, your business reading list and more, you will love the list below. If you have a favorite blog that didn’t make the list, I invite you to share it in the comments section. Enjoy! 1. Social Media Examiner – Finger On The Pulse! My favorite blog for my small business is Michael Stelzner’s, Social Media Examiner. It is one of the largest social media magazine and is designed to help businesses use social media tools like Facebook, Google+, Twitter, LinkedIn and Pinterest to connect with customers, generate more brand awareness and increase sales. I receive daily newsletters from The Social Media Examiner and I always find them extremely relevant. Michael Stelzner definitely has his finger on the pulse of social media. A must read for any business looking to connect and build sales! Why I love this blog so much is because Stephanie breaks technology down in a way that I can understand. She gives great tips and tools to take my business to the next level. Out of my favorite six on my list. Stephanie is #1. 3. Do Be A Donut! Don’t Be a Donut is an absolutely awesome blog which guides SMB’s through primarily marketing strategies and woes, but also offers invaluable insights and tools in to many other aspects of running your own business. E.g., templates for quality statements to make for public sector procurement or an end of year payroll administration checklist. Every time I visit this site I find yet another article which is not only written really well in plain English, but also offers me great bite-sized chunks of information I can take away with me. I still can’t quite believe they’re giving all this info away for free! I owe a lot of my success to the blog at EntrepreneurCommunityOnline.com. There are many small business experts who blog, but this collection of bloggers come up with practical advice from the trenches of entrepreneurship. ECO Founder, Linda Hughes, carefully cultivates the community’s culture and it comes through in substantial and down-to-earth advice from the sites’ business advisor group. Keeping up with the latest books on leadership in business and nonprofit management can be daunting. I wish I had the time to read all of the inspiring and useful books that come out on the market, but alas, “fun” reading always gets pushed aside in my entrepreneurial pursuits. It is almost as if I have a hard time prioritizing my reading time. However, Dr. Steve Gladis’ blog, Survival Leadership, is an absolute necessity for me to keep up with prioritizing my reading. Dr. Gladis is an executive coach and he writes executive summaries of books that are necessary for leadership survival on his blog. Not only are they written well but they are quick yet encompassing posts that allow me to test out a book and prioritize its importance on my full-read list. Business2community.com is one of my favorite blogs for small business for two reasons. #1. They provide a place where a small business can post and become the expert, at least for the day. They give a small business the opportunity to post as an Expert. This can be huge in getting blog followers and clients. #2. They provide information for small business on all kinds of topics, they provide this information from all kinds of resources, and they will send you an email daily that is full of valuable information for a small business. They become a very valuable resource. Chris Guillebeau’s second book — The $100 Startup — just launched It’s a great look at how big businesses can start very small, but his blog has even more information on the topic. A great blog for small business owners is author Barry Moltz’s blog. Barry has spent many years founding and operating numerous small businesses while passing on his stories of success and failure to his readers. His goal is to help entrepreneurs unlock their potential and get “unstuck” in the business world. Barry uses his vast knowledge and experience to help business owners move forward and find their own success. He uses his blog to announce and feature episodes of his popular radio show (Business Insanity Talk Radio), but on occasion, he and his guests post very interesting articles on various topics. One of my favorite posts is: http://barrymoltz.com/2012/01/guest-post-2011’s-top-business-model-blunders The radio show episodes he features on the blog always have a variety of interesting guests (we even made an appearance!) and discuss various topics regarding small business. A great deal of our business relies on maintaining strong customer service To help guide our business in this matter, I follow Marsha Collier’s blog regularly. Marsha is the author of the “For Dummies” series of books about eBay and more recently, about customer service and social media. In my opinion, Marsha is a master of winning over your customers with first class customer service and social media marketing. Since we consider customer service to be of the utmost importance we make sure we read her blog regularly and have found endless insight for fine-tuning our customer service operation there. She is also the host of Computer and Technology Radio, which is also a great source for keeping up to date with all things in the tech world. We highly recommend for any small business owner to follow author Andy Sernovitz, who is an expert on word of mouth marketing (aka buzz) is the proprietor of this site. Since word of mouth marketing is the most valuable and effective type of marketing, we pay very close attention to what Andy says. He has a great way of harnessing the unique ways to become a brand that buzz follows and showing how to apply it to your own businesses. Just getting your business’s name out there can be a terribly hard process but Andy has a strong grasp as to how you can get folks not just talking, but virally spreading buzz about your brand. A small business blog I really like is Seth Godin’s blog. The brilliant Seth Godin, is the author of multiple marketing books, and is an A-list lecturer that appears worldwide (including at thought provoking TED conferences) and founder of Squidoo along with being credited for popularizing permission marketing. His blog is generally about marketing, but he is also curious and knowledgeable on a wide variety of subjects, which make his marketing perspectives so valuable. Seth is a prime example of those writers who are constantly thinking outside of the box and providing his readers with unique and useful information that pushes you to be remarkable rather than ordinary. You will not get the same recycled marketing ideas that you see on every other blog. The coolest blog for entrepreneurs to follow is Venture Hacks. The blog is run by veteran entrepreneurs Nivi and Naval, who have founded incredibly successful companies likes AngelList and Epinions, all the while successfully investing $20 Million into Twitter in it’s early startup days. They continue to pass along great business advice to startups and help push them to the next level of success. The blog is filled with personal advice that can point you in the right directions if you are looking to build your own startup success story. Nivi and Naval share whatever they can from investing tips, how to avoid failure, and stories of their own ups and downs in business, and their little tidbits of advice offer invaluable perspective that you can take with you and use in just about any venture. If you’re looking for a great blog that could potentially help your small business achieve success then look no further than On Startups blog. The blog is the product of Dharmesh Shah, a veteran at executing successful startups. He’s a self-confessed “professional geek,” who launched his own software company at the age of 24 too much success and out of his frustration with his regular 9 to 5 job. He shares his interest in software startups with his readers daily, which has helped many a business to get off the ground. Dharmesh’s passion for startups comes across strongly on his blog and he always has something thought provoking and powerful to say about what you should or should not be doing in the market. Not only is he brilliant but he is also a very entertaining writer. The Content Strategist helps small businesses harness the power of the internet and the effective method of content marketing with tips and how-to’s. They give insight into the power of how valuable content and effective copywriting can help small businesses grow on a shoestring budget. The incredible Linda Hughes is by far the most helpful, resourceful and insightful entrepreneur I have ever met. After 2 years of webinars, online classes and tutorials, nothing has been more effective than Linda’s tools. Her blog has now evolved into on online community, EntrepreneurCommunityOnline.com (ECO). There are hundreds of blogs, videos and tutorials compiled and inspired by this amazing visionary. Once you know where your business is going, she will help you get there, and take you through every step. Her written words are conversational and inspiring. She knows how to celebrate your victories and turn failures into opportunities. She is a strong leader, and at the same time a team player. Find her at ECO, she (and her blog) will take you and your business onward and upward. Thanks so much again to all our wonderful contributors for sharing your favorite business blogs! We hope to hear from you again. And to all our readers, if you have an innovative idea to share, we hope you will leave it in the comments below. This entry was written by Dr. Shannon Reece, posted on June 4, 2012 at 5:00 am, filed under Question of the Week and tagged best small business blogs, blog, entrepreneurship, small business tips. Bookmark the permalink. Follow any comments here with the RSS feed for this post. Post a comment or leave a trackback: Trackback URL.